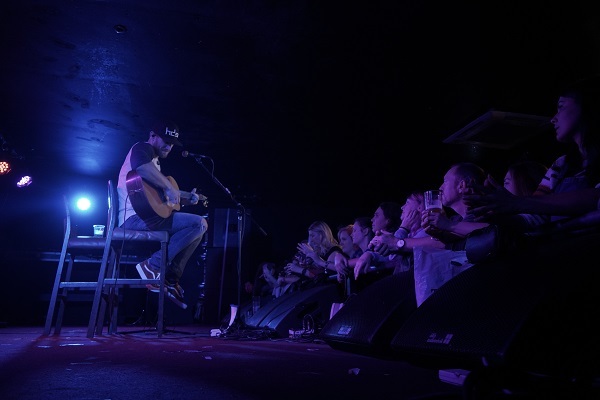 BBR Music Group artists Jimmie Allen, Lindsay Ell, Chase Rice and Lainey Wilson all toured the UK this month and were received with open arms by fans across the country. Many of the shows were part of the AEG’s Country Music Week, while others were part of the artists continued dedication to tour internationally and play for their fans in the UK. Amidst the energy of Country Music Week it was announced that Broken Bow Records artists Dustin Lynch and Rice will be playing the Main Stage at the Country to Country (C2C) Festival in March 2019. Sunday night (Oct 28th), Jimmie Allen closed out a two-week combined run of UK shows from the label’s roster during October, with a special performance at the ‘Bluebird Cafe’ songwriters round in London. Joining them in London was Broken Bow Records latest signing Lainey Wilson, who spent several days working with internationally-acclaimed songwriters following her debut overseas performance, before returning to the stage at AEG’s Country Music Week for a packed performance and Q&A as part of their Daytime Hub event. Rice found time on his trip to join legendary BBC Radio broadcaster Bob Harris on stage at the CMA Songwriters Series (Oct 22nd) for a special announcement, letting fans know he’d be joining the Country to Country (C2C) Festival lineup in March 2019, for full band shows on the mainstage in London, Glasgow and Dublin. It was also announced that labelmate Dustin Lynch will make his long-awaited first trip across the pond to play C2C 2019 in all cities, alongside Keith Urban, Lady Antebellum, and Chris Stapleton. Rice went on to join songwriter/producer and frequent collaborator Chris DeStefano for an acoustic rendition of current single ‘Eyes On You’, which is receiving growing airplay worldwide and has topped 65m+ streams, including over 1m in the UK alone. All four artists received rave live reviews, while fans clamored for the engaging live show experiences. Additionally, keeping a packed scheduled, all were featured on multiple BBC Radio shows during their trip, as well as stopping in to visit the UK’s 24/7 country station Chris Country Radio. Ell also made an appearance on London Live TV, took over Fender’s social media channels and recorded an interview with Total Country TV, to air shortly after the new channel’s launch in November.